What do you get the person who has everything? A good question and one that plagues tens of thousands engraved corporate gifts buyers every year. The same is true for those who look aimlessly through catalogs in search of an inspirational corporate gift. What do you get for someone who has a lot of money, does not really need anything, or whose rather eclectic or expensive hobbies you cannot possibly afford to support? What about the person whom you do not know all that well, but whose invitation has left you feeling obligated to come with a gift in hand, since appearing empty-handed is indeed an impolite thing to do? Engraved corporate gifts create cherished memories. Best of all, giving gifts that will last a lifetime is appreciated on any occasion. Honor your employees’ hard work with gifts or engraved awards! Regardless of the occasion, we are your means to make your special gift an engraved treasure. We believe in giving you the best value for your money. We don’t inflate our prices just to advertise “FREE” engraving. We custom engrave each piece ourselves with one of our suppliers so we can offer you more engraving choices on each item. We’re confident you’ll find our engraved corporate gifts very competitive. Can’t find what you’re looking for or need more advanced engraving? Simply contact us and we will be happy to serve you. Our engraved corporate gifts can help you to better commemorate any important national or internal company celebration. Choose gifts that make the most out of any given situation; from an early retirement to an annual holiday celebration, our corporate gifts have the dignity and poise ready to make every moment a memorable one. Our gifts might be fine writing tools or personal accessories to help any busy schedule find a better flow and control. From fine desktop accessories to personal accoutrements that bring a touch of luxury to any moment, our engraved corporate gifts are a personal and warm way to remember your coworkers on the holidays, or bring an exciting way to celebrate your partners’ promotions and accomplishments. Our engraved business gifts also make ideal connections with your best clients, presenting them with a personal gift that quickly displays your attention to detail and appreciation for finely crafted work. Choose a variety of gifts to help cover all your bases, for with our wide selection and affordable options, you can select different and stylistically unique engraved corporate gifts for every member of the team, and still have plenty of options left to find something special for another future celebration. Our gifts will keep you coming back throughout any successful year, and each time through, you will find another unique way to consider your options. 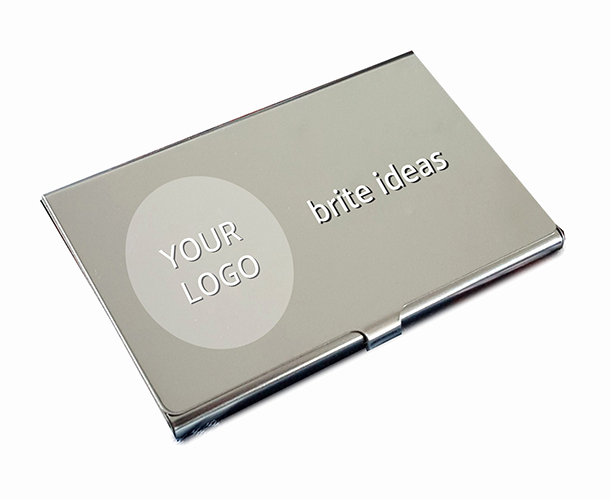 Engraved corporate gifts are among the most popular types of gifts. They are the hottest trend right now and are a great way to boost morale, express your thanks to a loyal client, or confirm your gratitude towards an inspiring boss. They are a remembrance of proud accomplishments. All gifts are appreciated, but if engraved are more meaningful and will be remembered. Engraved gifts are one of the most cherished gifts one can receive. Find just the right way to say, “Thank You!” We offer a wide variety of engraved corporate gifts. For recognition, we offer personalized awards and engraved plaques. For appreciation, we offer personalized desk accessories, engraved clocks, engraved paperweights and more. For a professional touch, we offer custom engraving with your corporate logo. For a unique thank you gift, find out about our engraved wine and liquor bottle programs.